On your mark… Get set… Eeeeeeat! As we dive in to devour any obstacle on our plates, drink and make merry this season let’s not forget the health lessons of 2015 and the importance of what we put in our bellies. Simply put, all things being equal, the food we eat determines the length and quality of our lives coupled with healthy exercise which does not have to be intense. The tendency to over indulge ourselves during festive periods is very high which involves heavy eating and drinking for those who consume alcohol otherwise people who don’t just eat, eat and eat everything that smells nice, this brings us to the questions: what do you eat and in what quantity? 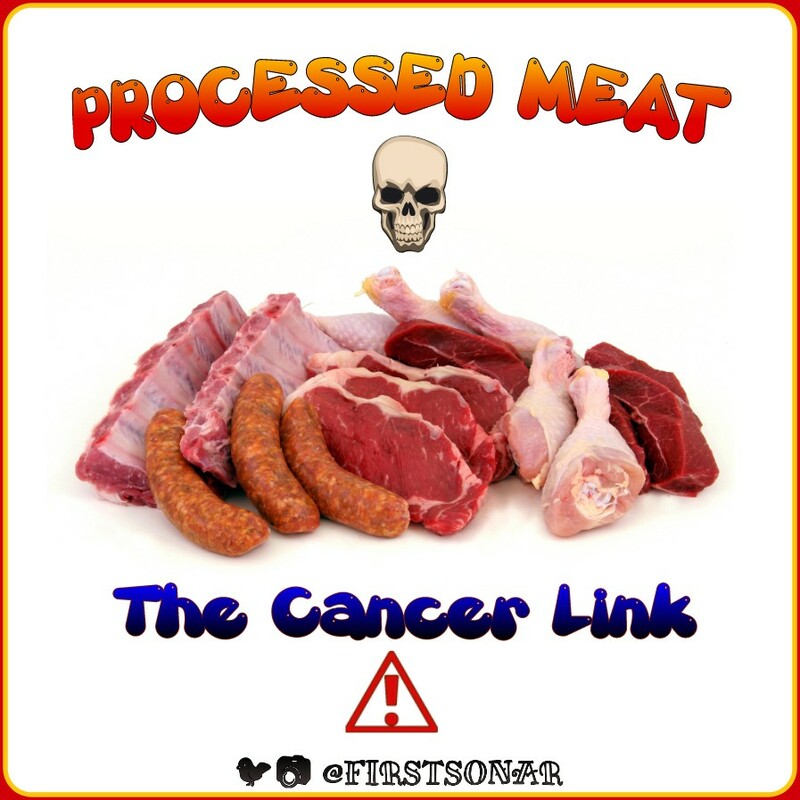 The World Health Organization (WHO), shocked the world on October 26th 2015 by announcing to the world once and for all that processed meat will give those who consume it cancer specifically “Bowel Cancer” otherwise known as Colorectal Cancer which has associations with pancreatic and prostate cancer. (1,000,000) cancer deaths per year globally due to tobacco smoking. More than (200,000) each year due to air pollution, according to (IARC). In total I am talking about 2,000,000 cancer deaths annually and if you ask me, that’s a lot of dead people. So what is processed meat? According to WHO, Processed meat includes bacon, sausages, hot dogs, salami, corned beef, beef jerky and ham as well as canned meat and meat-based sauces. So from this season and beyond, take your life in your hands and go for fresh, organic or natural products to stay safe even as we expect God to do the rest. Sunday Imonah, also known as Lord Sonar because of his good music ears and vocal prowess, is an enigmatic Presenter on Drive Time belt, the Weekend run as well as other belts on Metro FM, He is a voice Actor and writer at heart. He has produced, written, and directed creative works for the Station and beyond. He has voiced Commercials for Companies like Afrab Chem, Cornoil, numerous pharmaceutical and beverage companies as well as religious houses to mention but a few. Sunday is a social critic who uses his writings to proffer solutions for social good.